This study aimed to estimate the accuracy of dual-phase C-arm cone beam computed tomography (CBCT) for the detection of colorectal cancer liver metastases, as compared with multidetector computed tomography (MDCT). Readers identified at MDCT 264 colorectal liver metastases and 43 other liver lesions. The early and late arterial phase showed 240 and 277 liver lesions respectively. A certainty of the diagnosis was obtained in 63% and 85% at the early (EAP) and late arterial phase (LAP), respectively. Streak artifacts or liver segment truncation, or inadequate enhancement was responsible for the inability to see or to correctly adjudicate a lesion to a diagnosis in 27% and 15% of the cases at the EAP and LAP. The “worst-case scenario” yielded a Se and Sp of 58% and 51%, respectively, at EAP and 84% and 70%, respectively, at LAP. On CBCT, EAP showed limited accuracy. LAP provided the best tumor detectability. • The early arterial phase (EAP) yielded poor accuracy: Se = 58% and Sp = 51% (p < 0.0001). • The late arterial phase (LAP) phase yielded good accuracy: Se = 84% and Se = 70% (p = 0.02). 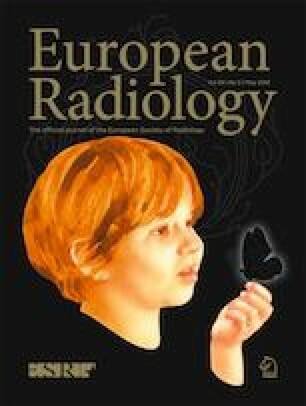 • The probability of a correct diagnosis at the EAP was 60%. The scientific guarantor of this publication is Olivier Pellerin, Deputy Head of the interventional radiology department at Hôpital Européen Georges Pompidou. Hélena Pereira, PhD, one of the authors, has significant statistical expertise.